I had a painful but powerful experience on February 20, 2016. My daughter and grandchildren and I were returning home. It was after sunset on the Arivaca–Sasabe road when we saw something up ahead. When we got closer we saw a man lying by the side of the road. My daughter slowed and drove past him. The man stood up and staggered a few steps toward the car, then fell down again. I shouted at my daughter to stop. She had rolled down the window a little bit and locked the doors. She told me later that she worried it might be a trap. I was certain it was just a man who desperately needed our help. Miguel’s eyes kept rolling back in his head, so I kept telling him he was going to be all right and praying it was the truth. We all rushed out and I sat on the ground next to the man and held his head in my lap. I asked him what had happened, but all he could whisper was, “I’m dying.” He told us he hadn’t eaten in three days, and the last water he had drunk, a day and a half before, was dirty. His chest and back hurt and he couldn’t move his legs because of spasms. My daughter, who knows first aid, took his pulse. She realized he needed medical assistance immediately. We had no cell-phone reception there, but some miles back we had seen a Border Patrol truck parked. My granddaughter drove back to ask them to call for help. While we waited, we gave the man a little to drink and eat, but he immediately vomited. We knew we shouldn’t give him anything else even though he begged for water. I just held him close and my grandson brought him a blanket because he only wore a T-shirt and was very cold. The Border Patrol agent arrived and stood over the man and asked him, “What’s your name?” The man said his name slowly and softly and we could hardly hear him. I will call him Miguel. The agent went to his truck and made a radio call. Miguel’s eyes kept rolling back in his head, so I kept telling him he was going to be all right and praying it was the truth. About 20 minutes later, the Arivaca Fire Department van drove by, going west. My granddaughter went after them in our truck. They returned in a few minutes. The paramedics checked Miguel’s heart and gave him oxygen, and tried to put in an IV, but couldn’t because he was dehydrated. They finally put Miguel in the van and the Border Patrol agent followed them toward Arivaca. I picked up his T-shirt that lay on the ground — it had been ripped open when they had checked his heart. I bunched it up and held it and cried. My grandchildren came to comfort me and I told them they should never forget what they had experienced. They should never hesitate to help someone. Somehow people have to work together to make this a world where young men don’t have to risk their lives to find a better life. This piece was written by Carlota Wray, a No More Deaths volunteer who lives in Arivaca, Arizona. 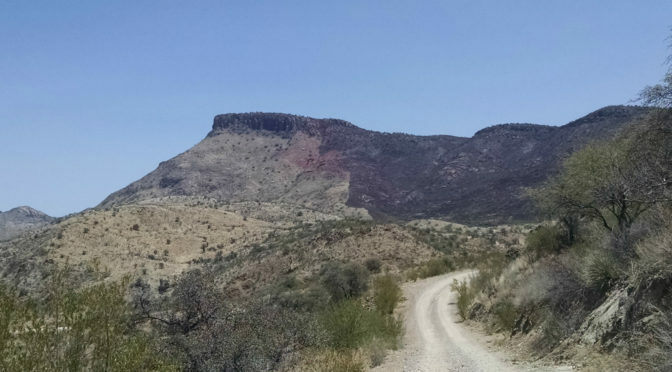 It was first published in the Arivaca Connection in February 2016.